WeDoBooks is dedicated to delivering a professional CPA quality experience with a team of dedicated Relationship Managers. WeDoBooks is a national firm, with a local, small town feel. WeDoBooks will handle your bookkeeping needs, so that your business keeps running and you can do whatever you please. 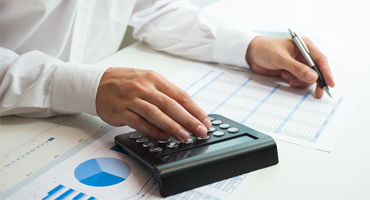 Do you know who your bookkeeper is? Leave things in the hands of certified and experienced professionals. Convenient and cost effective. Spend more time running your business. Pay yourself and your employees with our hassle-free payroll service. Keep more of your money with an experienced CPA tax professional. WeDoBooks handles it all. No software or training required! Your dedicated Relationship Manager is focused on providing you with exceptional client support. Professional bookkeepers who know your business and manage your books. No hidden fees! Consultations with a CPA are included in your Bookkeeping package. WeDoBooks is redefining the traditional accounting experience with CPA quality bookkeeping and dedicated Relationship Managers.